When summer is in full swing at Disneyland Paris, the crowds are enough to make even the biggest Disney fan run away screaming. Finding peace and quiet in peak season is difficult and while there’s always the quiet corners of DLP and of course the relaxation mecca that is Cafe Fantasia, those hoping to ride their way through the day can find solace in the fact that not all attractions come with epic waits (ahem, Peter Pan’s Flight). Disneyland Park is enormous and one could spend an entire day exploring its winding pathways and hidden corners, but when that gorgeous summer weather rolls into Paris, so do summer time crowds and it might actually take you the entire day to make it down one of those paths. Not so magical. But never fear, some attractions don’t get as much love as others and are actually well worth the stop. And while this list may be better named “Top Two Places to Take a Nap and Three Walk Throughs,” they will all give you some breathing room and hopefully restore some of your sanity. Cinemagique. The movies come to life in this 25 minute montage that includes a live actor and short clips of favorite films. From the black and white silent pictures of the late 1800′s to recent Disney hits like The Incredibles, Martin Short guides you through decades of motion picture history in a cute and comical way. If this doesn’t float your boat consider this: the theater is huge and comes equipped with comfy seating (read: naps are encouraged) and air conditioning. Animagique. 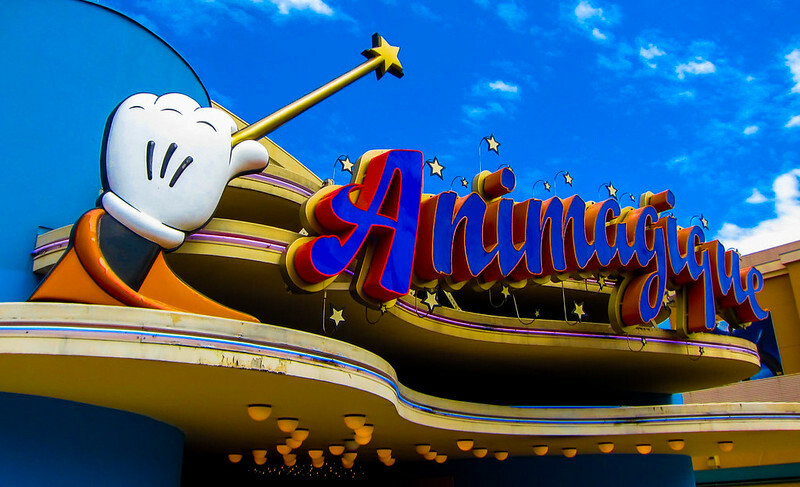 In the same way that Cinemagique visits the world of film, Animagique takes audiences on a tour through the archives of Disney animation with the help of everyone’s favorite duck, Donald. Featuring musical numbers and a black light cast of characters, this 20 minute stage show is another ideal venue for that all important siesta. Le Passage Enchanté d’Aladdin. Largely overlooked and never with a line, this walk through attraction features small vignettes that tell the story of Aladdin. Take your time here; the scenes are great and the dark passages provide a cool respite from the summer sun. La Cabane des Robinson. This classic Disney attraction takes you through the tree house that belongs to one very famous Swiss Family. It’s a nice walk through with great views of the park on your way up and down. Les Mystères du Nautilus. Fans of 20,000 Leagues Under the Sea will surely appreciated this incredibly detailed underwater walk through aboard the Nautilus.